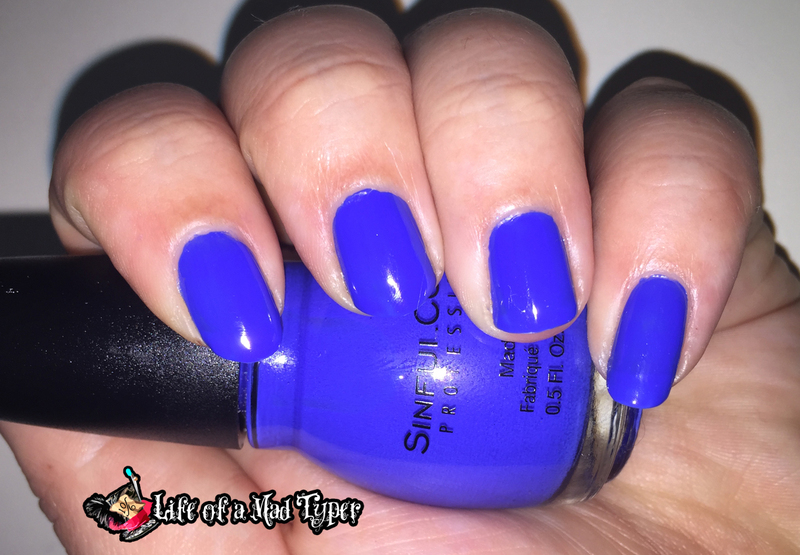 Hey guys SinfulColors is at it again with another collection. I love that they are constantly releasing new colors and so many to choose from. Connie wants them all! Endless Blue is my favorite of the ones I received. I used 2 coats but you could use just 1 and be opaque. 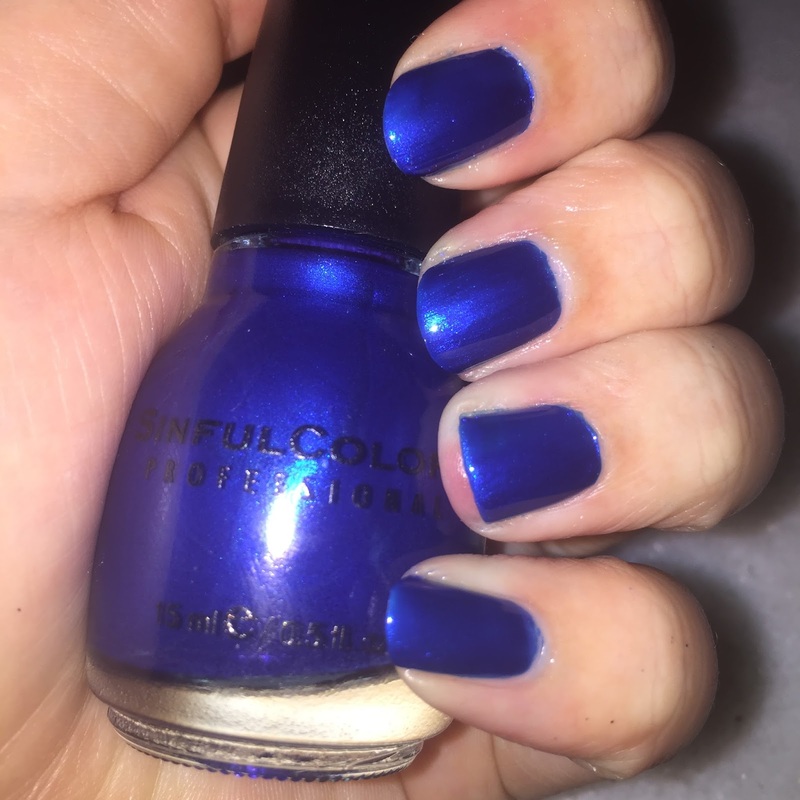 I had to remove a finger and redo it because I made a mistake and I was amazed that this gorgeous blue did not stain my nails! I used 2 coats of avon smooth beginnings base coat. 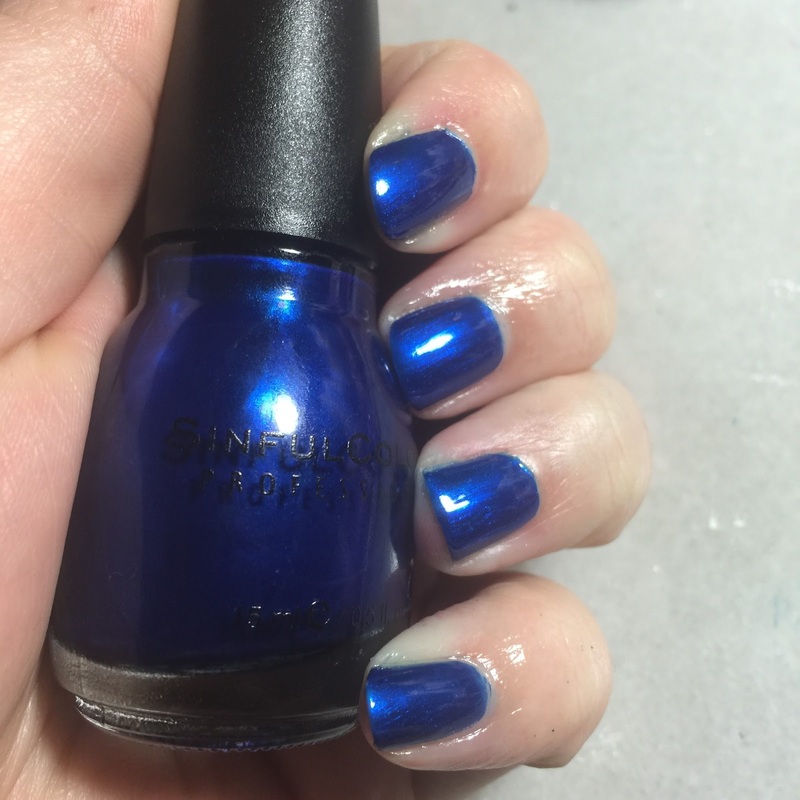 This polish reminds me of the elusive Pacific Blue from Sally Hansen (the original formula that is.) 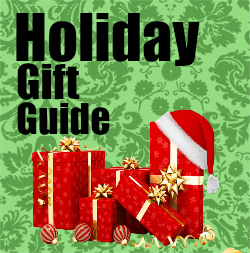 This is a MUST HAVE for your collection. I used 2 coats of midnight blue and it's gorgeous. It's a deep blue with a sapphire glow. Does leave some staining on the skin so if you can avoid getting it on your skin that is the best way to go. I had no issue with it staining my nails themselves. Ice Blue takes 4 coats to be opaque, best to be used over another polish. I found the Shimmer super hard to remove from my skin and nails. Medium Dry time on this one made up for the many coats. Out of this world had me a little disappointed. 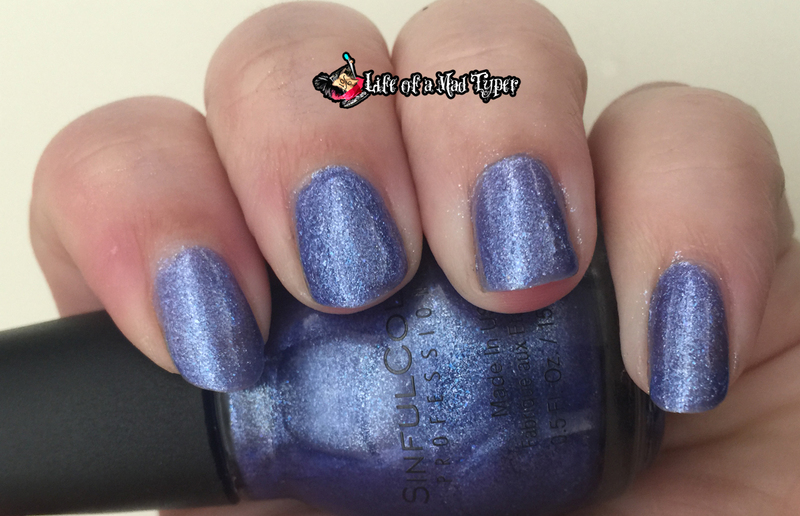 When I first saw it I thought it would be awesome for stamping like some of the other SinfulColors polishes. 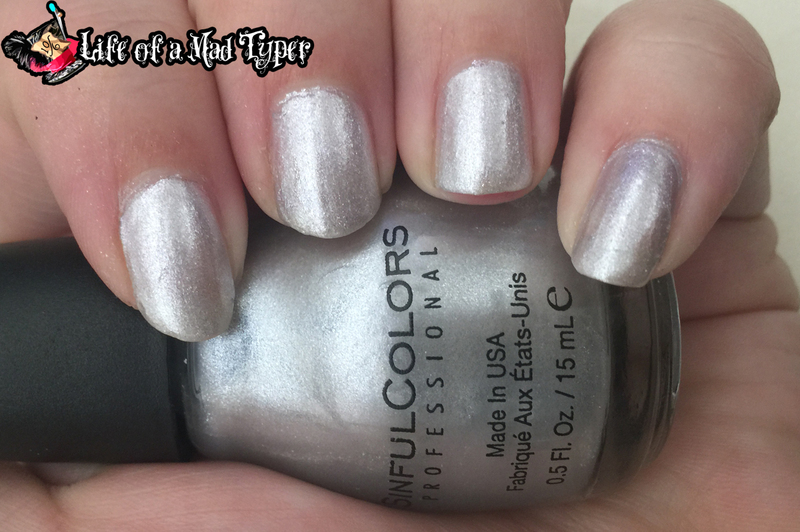 Then when I used it and it took 4 coats to reach any Opacity to speak of with more still left to be desired I knew this would never work for stamping. 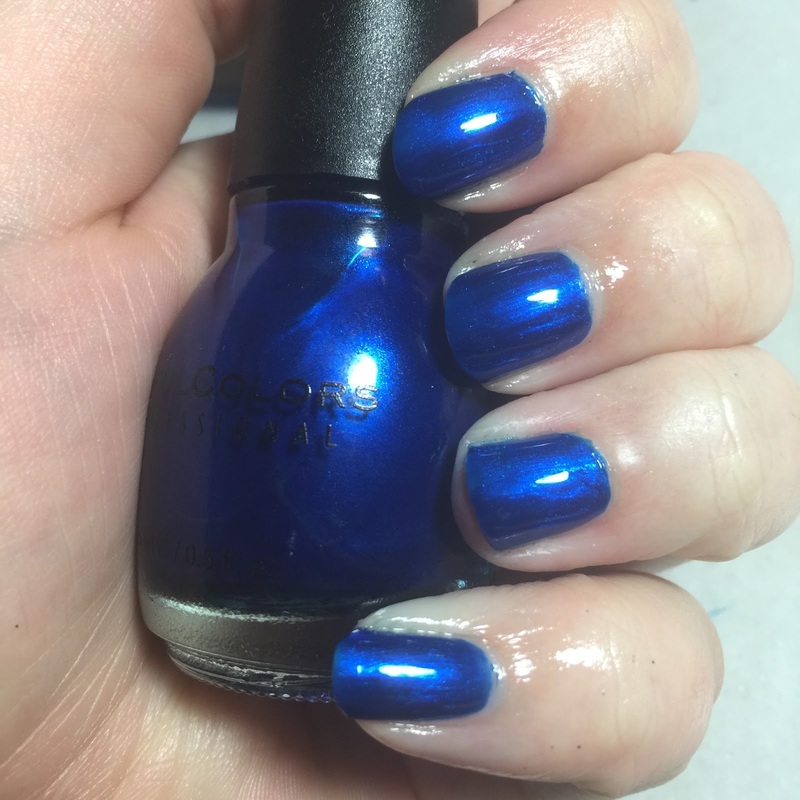 The dry time was super fast on this polish by the time I got done with my other nails I was able to go back to the first and do the next coat. It would be best to use it over black or another color.